This column from the Weekly Standard was written by Robert D. Alt. The past two weeks have witnessed an increase not only in anti-Coalition activity, but also in anti-Coalition sentiment among Iraqis. The majority of Iraqis still appear to support the Coalition, however this negative creep in public opinion has the potential to threaten that, and thereby may be far more detrimental to the long-term effort in Iraq than the recent series of failed insurgencies. While it is difficult to isolate a single cause, the shift in opinion does not appear to be motivated by either an increase in the popular mandate of Muktada al-Sadr's cause, or by any alliance of convenience between the Sunnis and Shias. Rather, it is a backlash -- a visceral negative response to the perceived wrongs committed by the Coalition. It is, in other words, the Al Jazeera effect. Following the Marine offensive in Falluja, Iraqi journalists began grilling Coalition officials at nearly every briefing as to why Americans were targeting women and children, and why the Americans were punishing so many innocent Iraqis for the wrongs committed by the few who desecrated the bodies in Falluja. Coalition spokesman Dan Senor and Brigadier General Mark Kimmitt explained that the Coalition is not executing a campaign of collective punishment, is targeting only those who had demonstrated themselves to be violently anti-Coalition, and is following strict rules of engagement and stringent policies concerning the use of force. But these assurances fell on deaf ears. The journalists had seen the purported proof of the Coalition's barbarity: they had watched satellite networks like Al Jazeera and Al Arabia. Upon modest examination, however, the evidence of Coalition inhumanity turns out to be a combination of half-truths and no-truths. For example, these networks reported that the Coalition dropped a JDAM on a mosque in Falluja. This much is true, however many news sources failed to report why the bomb was dropped, or incorrectly stated that the action was unprovoked. In reality, anti-Coalition forces had overtaken the mosque, and were using the high ground of the minarets to fire on Coalition forces. The bomb was dropped to permit the Marines to breach one side of the mosque, and thereby to return order. By omitting any reference to the gunmen in the mosque, media outlets were able to neatly transform an act of self-defense on the part of the Marines into a purported violation of the Geneva Convention. The more general claims of Coalition forces targeting women and children likewise have been supported by a hodge-podge of unreliable and largely unsubstantiated evidence. First, there have been reports of extraordinarily high body counts, always followed with the assertion that most of the dead are women and children. But there has yet to be a single count confirmed by an independent agency, such as the Iraqi Ministry of Health. The Marines have vehemently denied that the majority are women and children, saying that they have taken due care to avoid collateral injuries. This denial, needless to say, gets little attention in the local media. The most damning evidence of Coalition forces targeting civilians comes in the form of eyewitness accounts, and pictures of the dead and wounded from the scene. However, even assuming the veracity of the witnesses, this evidence tells us little more than that women and children were hurt or killed, without clarifying who committed the acts, or why they were committed. This is because many of the eyewitnesses only claim to have seen the injured or dead, but not the shooting or the shooter. For example, an American reporter relayed to me what she thought was convincing evidence that the Coalition was targeting civilians. An eyewitness from Falluja informed her that his relative was shot in the streets by a sniper. The witness claimed that the shooter must have been a member of the Coalition, because the Coalition controlled all the high ground. But this premise was untrue: anti-Coalition forces had been using the minarets of mosques -- the highest ground in the city -- to conduct attacks. While there are some sophisticated snipers among the insurgents, many insurgents don't bother with the sites of the weapon, preferring to spray rounds in the hope that, insha Allah, the bullets will find their enemy. Given this poor technique, and the fact that insurgents occupied the high ground, the witness had provided no evidence as to who actually shot the relative. Yet this is precisely the sort of testimony which has been bandied about as authoritative proof of Coalition malfeasance. Unfortunately, there are women and children among the wounded and dead. Indeed, there is substantial evidence that the insurgents are taking deliberate steps to increase the number of women and children killed by Coalition forces. In a firefight over the weekend in the border town of Husaybah, insurgents used women and children as human shields to block mortar positions. Similar reports are beginning to come from Falluja, where the fighters chose to bring the fight into the city, and specifically into areas where women and children were likely to be in the hopes that the Americans would either not fire or would kill non-combatants. Through these acts, the insurgents have demonstrated that they are willing to sacrifice women and children in order to generate bad press for the Coalition in Iraq and abroad, or alternatively to save their cowardly skins. The Coalition, by contrast, has put Marines in harms way in order to minimize injuries to non-combatants. While telling half of the story is bad enough, there is substantial evidence that outlets like Al Jazeera are in fact acting in concert with terrorists to generate overtly false and misleading news reports. Colonel William Rabena, who commands the 2d Battalion, 3d Field Artillery Regiment Gunners in the Adhamiya region of Baghdad, related a scam coordinated between anti-Coalition elements and Al Jazeera in his area of operation. A gunman would go to the mosque, where Al Jazeera, as luck would have it, would be setting up. The man would open fire in order to draw fire from the Coalition. After he was inevitably taken down by the Coalition, a bystander would rush over to check his condition, and in the melee secret away the firearm. Al Jazeera then would swoop in for the story: Coalition guns down unarmed man in front of mosque! And as in Falluja, they would have the pictures to prove it. The Western press, while not acting in concert with the terrorists, has performed little better. Too often, Western media outlets ran the unconfirmed casualty statistics from Falluja, without providing caveats about the accuracy of the reports and without providing a Coalition response. And too often, Western media outlets ran "eyewitness" accounts of Coalition forces killing civilians without confirming the accuracy of the statements, and without even suggesting that they sought Coalition comment on the serious allegations. While some of this reporting is undoubtedly a function of haste, some inevitably is a function of bias. By way of example, long before the events in Falluja, an Iraqi reporter at a press briefing asked whether it was Coalition policy to target women and children. After the briefing, a reporter for a major U.S. network congratulated the journalist for asking such a fine question. It takes a uniquely skewed perspective to believe not only that soldiers are targeting innocents, but that a "good question" is whether this is official policy. Given this jaundiced view, it is little wonder that the news out of Iraq is perpetually bleak. In the last two weeks, the Coalition has suffered stinging losses, not in military battles, but in the battle for public opinion. Most notably, those who have demonstrated a willingness to kill women and children have successfully blamed the Coalition for inhumane acts, while the Coalition has suffered increased casualties in its attempt to be more humane. The lesson is clear: the most powerful weapon the insurgents possess is the aid of sympathetic channels like Al Jazeera and Al Arabia, which they have used to great effect in shaping opinion in Iraq and abroad. To secure long-term popular support and regional stability, the Coalition must do more than win militarily. 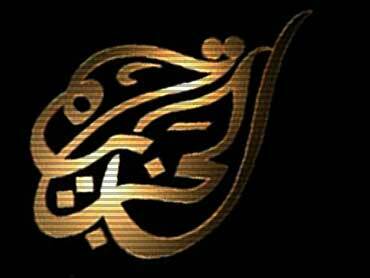 Rather, they must find a way to overcome the Al Jazeera effect. Robert D. Alt is a Fellow in Legal and International Affairs at The John M. Ashbrook Center for Public Affairs at Ashland University. You can follow his daily progress in Iraq on the web at noleftturns.ashbrook.org.